The Affordable Care Act has assisted millions of Americans by making it possible for them to afford quality health care coverage. However, many people still don’t have health insurance. Even if you have health insurance, medical bills can still present a significant financial burden. Help with medical bills is available from several sources. However, for many people, the best source for help with medical bills is LoanNow. You may be able to obtain free or inexpensive medical care through your local municipality or through a neighborhood clinic. Churches and nonprofit organizations may be able to provide help with medical bills for treatment you’ve already received. However, the demand for this type of assistance is extremely high, so you should not expect to cover the full amount of your medical bills unless your balance is very small. Nonprofit hospitals are mandated to provide help with medical bills that patients cannot afford to pay by offering charity care. Charity care can eliminate some or all of your medical bills, including the cost of hospital rooms, medical procedures and the cost of medication administered in the hospital. Obtaining charity care isn’t automatic. Patients have to complete special paperwork and provide verification of their income. Many financial experts advise strongly against tapping into retirement funds to cover non-retirement related expenses. However, the IRS allows withdrawals from your Individual Retirement Account for help with medical bills without paying the hefty penalty that otherwise applies for early withdrawals. Even so, you will still owe taxes on any money you withdraw from a regular IRA account, as well as withdrawals from earnings (not deposits) from a Roth IRA. That’s also money that won’t be available when you retire, unless you repay the funds. 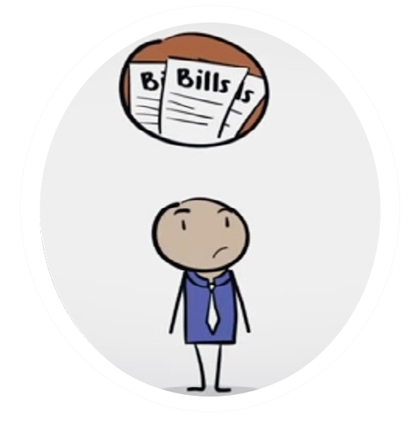 LoanNow makes personal loans for all kinds of reasons, including providing help with medical bills. By taking a loan from LoanNow, you won’t have to raid your IRA. LoanNow can also help to fill the gaps not covered by other types of assistance. Less than perfect credit isn’t a deal breaker – we look beyond your FICO score to consider your overall financial profile. You also won’t wait weeks for a response – our online application process generates a response within minutes. † Being sick is tough enough without the burden of medical bills – let LoanNow provide the funds you need so you can concentrate on getting back on your feet!